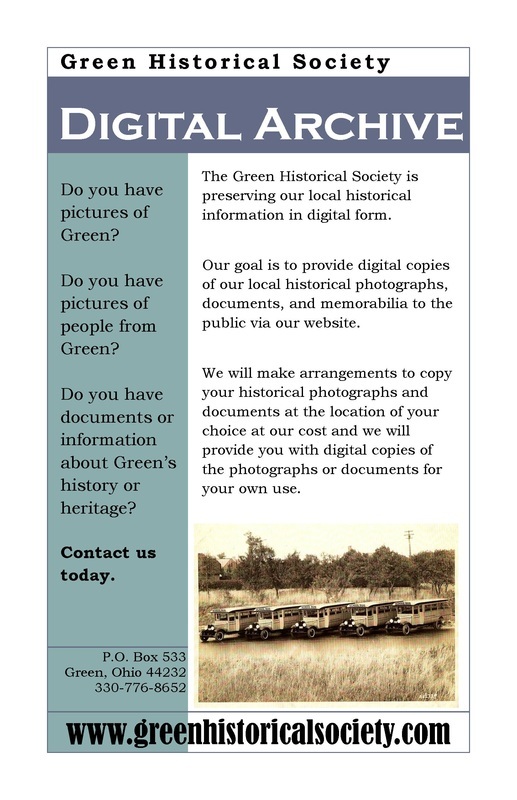 The Green Historical Society is preserving our local historical information in digital form. Our goal is to provide digital copies of our local historical photographs, documents, and memorabilia to the public via our website. We will make arrangements to copy your historical photographs and documents at the location of your choice at our cost and we will provide you with digital copies of the photographs or documents for your own use.